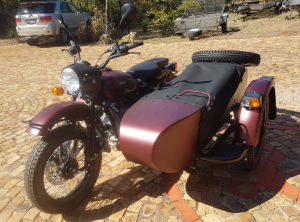 Please note that pics are for colour reference only. 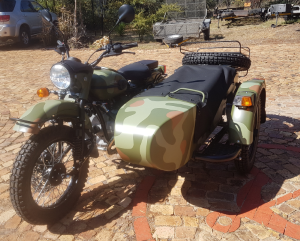 After many thousands of adventure kilometers on our trusty Urals we decided to develop a mounting system for a Ural sidecar onto a GS 1200 for African adventure conditions. 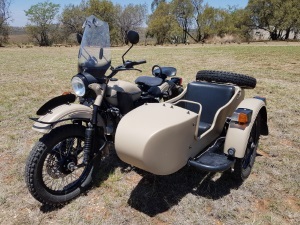 The Ural sidecar has proven over the last 70 years to be extremely strong and durable and as it was designed originally for war conditions, it suits our adventure application perfectly. 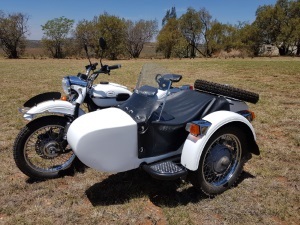 The Ural sidecar has a dual suspension system which delivers a very smooth and insanely comfortable ride during dirt road riding. 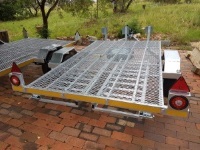 There are other mountings available from America and so on but none specifically designed with African conditions in mind. 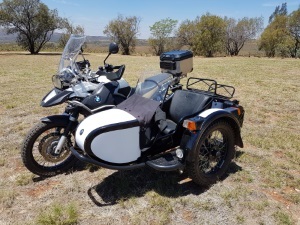 We have kept the ground clearance to a maximum under the bike and the sidecar has even more. 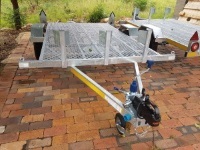 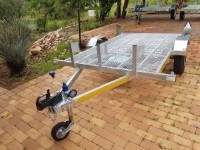 We have opted to go for a basic, strong setup that will withstand the harsh African conditions during adventure trips.